For generations, casino is a place where everything is exciting and glamorous. Playing for money is not else than a roller coaster ride where the rolled dice on the table decides your fate in seconds. Millions of dollars roll a day the gaming tables and in Macau’s elite casinos around $250 million dollars a throughout the day on the one gaming table. 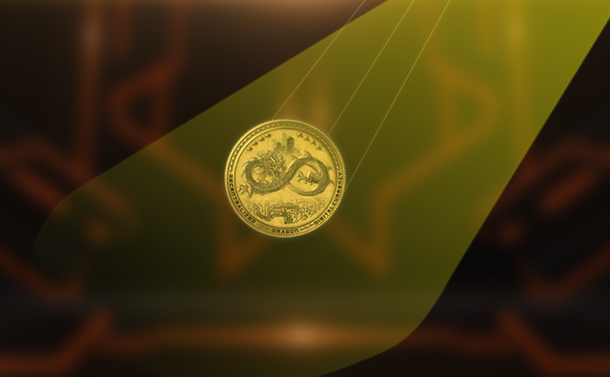 Now, there is a new cryptocurrency Dragon Coin Inc are entering in the casino industry to convert the money into digital tokens. The world’s 1st gaming and entertainment token is “Dragon”. This new cryptocurrency is growing unexpectedly in casinos to reduce the time-consuming method of converting cash into tokens as well as disrupting the industry. So, let’s understand why the Dragon cryptocurrency is booming and has become world’s first gaming and entertainment token. As Henry Ford said; “Teamwork coming together is a beginning keeping together is progress working together is a success”. Behind every successful company, there is major contribution of team-members and hard work, Dragon also falls in the same category. The group of Dragon team members work under the leadership of Chakrit Ahmad (CEO) and Paul Moynan. Moreover, both hold the undeliverable resumes and have impressive business shrewdness, project skill, and work ethics. The Chief Executive Officer, Chakrit Ahmad is a serial entrepreneur and contains a very impressive track record of implementing technological solutions. He has a leadership forte and strength across numerous new industries like software, listing, and technology. Wherein Paul Moynan is a global entrepreneur and operations expert. In fact, prior to this, he was Royal Marine Commando and he also won Prestigious Green Beret. There is no wonder that these two unbelievable, sophisticated, and robust leaders working together have come up with Dragon Inc., which seems to be a step in revolutionizing entertainment industry with blockchain technology. Dragon Inc is extremely loyal to its members and offers good value. In fact, the whole business focuses on providing reward benefits for their member’s participation and loyalty. Let us check out the brief benefits that take the Dragon gamers loyal to it. It is a program where there will be a monthly airdrop just to one lucky draw token holder. Wherein every month, at least 10 percent of the net monthly income from all Dragon junkets airdropped erratically into one decided DRG token holder. This monthly airdrop will be created each for the members. Dragon Inc offers an exclusive membership, and launch a DRG burn program that will start after three of operations. This monthly program can diminish the total circulating supply till the time there are only 21-million tokens left in circulation. For the conversion of digital money, all the members of Dragon community are authorized to use a smartphone Dragon combine with the social wallet. It will help the members to envision the number of digital tokens in the Dragon account on the blockchain. Moreover, Dragon platform is also connected to a network of Global Cash Machines which will allow members to use their Dragon credit, debit cards to convert their digital money and draw fiat cash. In fact, it is looking forward to having the digital token compatible ATMs in the whole Dragon joined gaming locations. After the business is functional at full pace, people who own DRG will get access to VIP rooms and take advantage of huge discount on fees. Apart from this, members of Dragon will be accredited to many other prerogatives for owning DRG. With all these benefits and offers for its users, the success of the platform is unquestionable. Dragon has a powerful plan for gaining control of exchanging money in the Macau casinos. In fact, the Dragon Corp from Macau plans to issue a $500 Million token sale. Wherein DRG is already trading on an exchange like CoinHub, Idex, HitBTC and yet to followed by others. Dragon has rumored partnerships include F1, Asian Golf, Team Brit and Le Mans. However, the aim is far beyond the Asian casinos. Dragon is winning the grounds of major strategic partnerships with sports, gaming and film industry that is rising day by day and major announcements to be made in the few coming weeks. The business has future and growing rapidly across the globe. In fact, it gets faster in countries like Macau, South Korea, Myanmar, Vietnam, Malaysia, Philippines, Singapore and other countries are awaiting. After the success so far, Dragon doesn’t need any introduction to impress investors. Investors are already tempted by seeing the growing success rate. However, after tasting the taste of success, there is another plan to issue a $500 million dollar taken sale that is quite impressive. A soon as the business is fully connected, Dragon predict a daily purchase volume of $250-300 million USD independent from Crypto markets due to the high rollers who visit the VIP rooms and use the Dragon platform. Dragon is not a coin that just needs to be bought on each day, it is a daily demand and supply for the Asian games. Moreover, Dragon is going to be a revolution in casino gaming and this is just a starting.